The princess was a very courageous woman. Sometimes i think female royals are better suited to reign as their male counterparts. Her beloved niece, Marie-Therese, later Duchess of Angouleme, was of the same brand. Made of the same (hard) wood my countrymen use to say. Such a charming answer! Very kind. Madame was very brave, I agree. I arrived here via a search engine as I am researching ancestors and was searching for one Elisabeth Voice, born 1794. 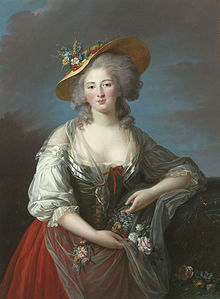 I soon realized that this was not the Elisabeth I was searching for, yet stayed to read of “Elisabeth of France’s” fate. So it came to pass that as one Elisabeth’s life ended, another Elizabeth’s life began.